Winter Palace Research : Unidentified room is on the 3rd floor of the Winter Palace! Unidentified room is on the 3rd floor of the Winter Palace! 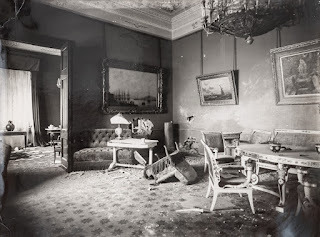 Nicholas II had arranged various pieces from his 1891 Asian trip including two elephant tucks in his Reception Room (176) on the 2nd floor of the Winter Palace. 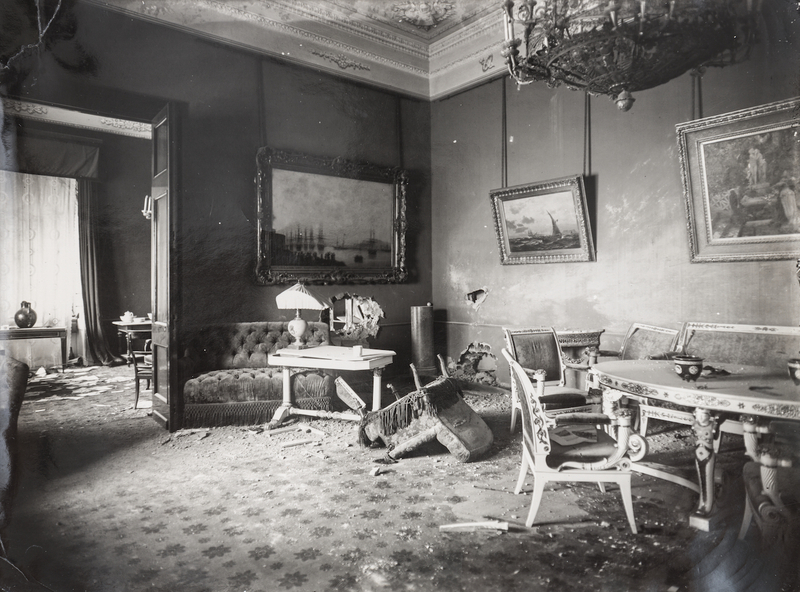 On November 9th 1917, the art commission under V. Vereschchagin started photographing the rooms of the Winter Palace. A photo published in the newspapers at the time and, replicated often later, shows the tusks through a door. The lack of clarity and cropping of this photo made it difficult to ascertain the location of the room. The Hermitage Museum opened yesterday its latest exhibition ‘The Winter Palace and Hermitage in 1917’. 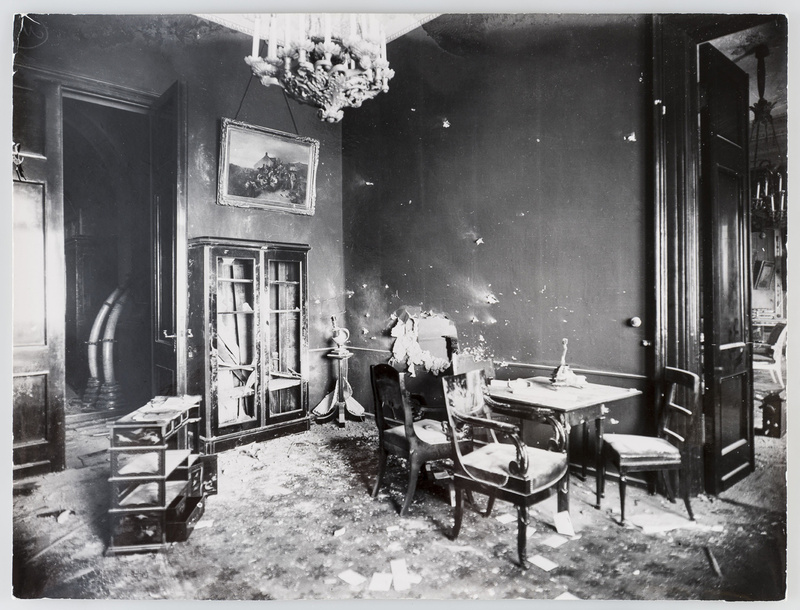 It has released some of the original photos of the interiors. I am now able to confirm that the location of the room with the tusks was the Corner Study (396) (below) on the 3rd floor. Photograph (below) of the Salon (395) shown through the door on the right in the above photo.